Looking for a perfect supplement to fit your multi-purposes?? 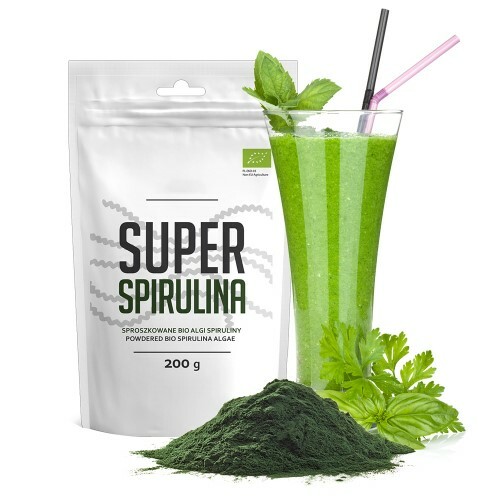 Try Spirulina: The super food! Spirulina is the world’s first super food, and one of the most nutrient-rich foods on Earth. It became popular when NASA proposed that it could be grown in space and used by astronauts. Basically Spirulina is one of the oldest life forms on Earth. In fact, this blue-green microalgae is partly responsible for producing the oxygen in the planet’s atmosphere that billions of years ago allowed the planet’s originating life forms to develop. Iron: 11% of the RDA. Even for those who consume meat, it has a highly absorbable form of iron that is gentle on the digestive system. Spirulina is also incredibly high in calcium with over 26 times the calcium in milk. A tablespoon of spirulina contains a small amount of fat (around 1 gram), including both omega-6 and omega-3 fatty acids in about a 1.5:1 ratio. The quality of the protein in spirulina is considered excellent, comparable to eggs. It contains all the essential amino acids that we need. It is often claimed that spirulina contains vitamin B12, but this is false. It contains pseudo vitamin B12, which has not been shown to be effective in humans. 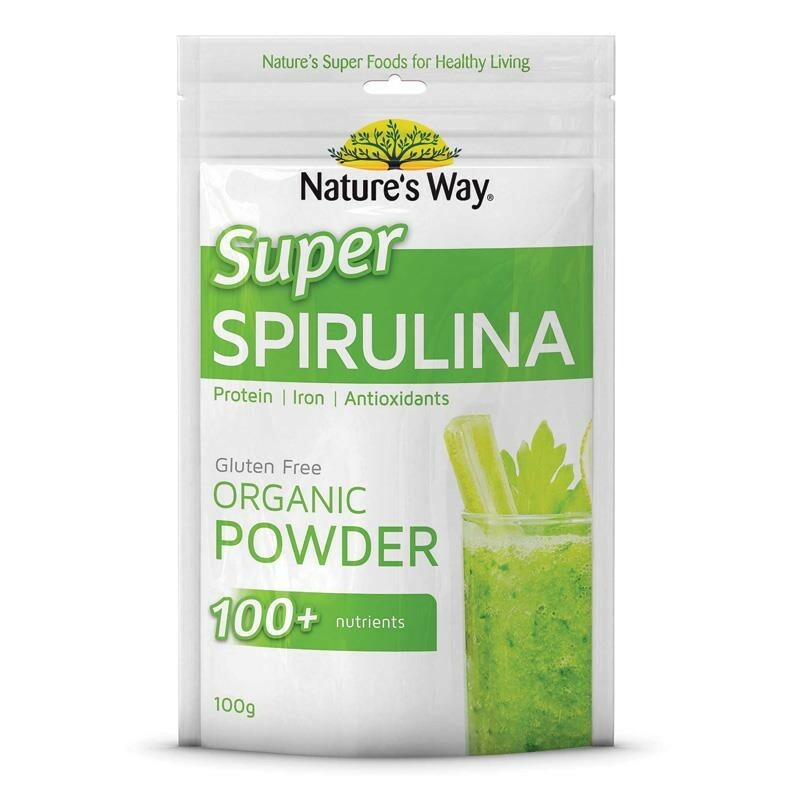 According to National institute of Health spirulina has been researched to be beneficial for following concerns. Spirulina can lower total cholesterol, LDL cholesterol and triglycerides, while raising HDL (the “good”) cholesterol. In a study of 25 people with type 2 diabetes, 2 grams per day of spirulina significantly improved these markers. Another study in people with high cholesterol found that 1 gram of spirulina per day lowered triglycerides by 16.3% and LDL by 10.1%. The antioxidants in spirulina appear to be particularly effective at reducing lipid peroxidation which is a cause of many diseases in body. In a study of 37 individuals with type 2 diabetes, 8 grams of spirulina per day significantly reduced markers of oxidative damage. It also increased levels of antioxidant enzymes in the blood. Some evidence suggests that spirulina can have anti-cancer properties. For example, some research in test animals shows that it can reduce cancer occurrence and tumor size. Spirulina has been particularly well studied with regard to oral cancer, which is cancer of the mouth. One study looked at the effects of spirulina on 87 people from India with precancerous lesions called OSMF in the mouth. After using 1 gram per day for 1 year, 45% of the spirulina group had a complete regression of lesions in the mouth, compared to only 7% in the control group. When they stopped taking the spirulina, almost half of the responders developed these lesions again the following year. In another study of 40 subjects with OSMF precancerous lesions, 1 gram of spirulina per day led to greater improvement in symptoms than the drug Pentoxyfilline. In a recent study anemia is shown to be treated by spirulina intake but more studies need to be done before recommendation. In a study of 40 older people with a history of anemia, spirulina supplementation increased the hemoglobin content of red blood cells. Immune function also improved. Animal studies have shown that spirulina can significantly lower blood sugar levels. In some cases, it has outperformed popular diabetes drug, METFORMIN. There is also some evidence that spirulina can be effective in humans. 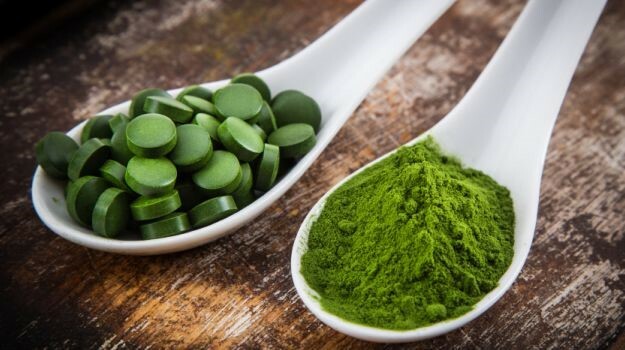 Spirulina may also have other beneficial effects, such as helping to “detoxify” the heavy metal arsenic from the body although this needs more experimental support. Therapeutic dosage of spirulina varies from 2g per day to 8.4 g per day in tablets or capsules. Usually taken in powdered form as 1 tablespoon daily. Substitute one of your vitamin supplements with SPIRULINA TABLETS as it has good absorption with vitamins. Blend 1 tablespoon spirulina powder into two cups of natural, unsweetened fruit juice. Add a banana and a few cubes of ice for a healthful breakfast smoothie. Combine 2 teaspoons each of cumin, paprika and chili powder. Add 2 tablespoons of spirulina and sprinkle over a Mexican salad or oven roasted potatoes. Whisk or stir 1 tablespoon of spirulina into 2 cups of your favorite vegetable juice. Pour into a tall glass, garnish with fresh herbs and drink immediately. Spirulina usage may cause potential side effects and disadvantages. Phenylketonuria describes a medical condition characterized by the deficiency in the enzyme that metabolizes phenylalanine, a type of amino acid. As mentioned by the University of Maryland Medical center, if you have problems with their phenylalanine metabolism, you must avoid taking foods containing this amino acid. Spirulina contains rich amounts of amino acids, including phenylalanine; therefore, it should be avoided by patients with phenylketonuria. Autoimmune disease refers to the over-activity of the immune system resulting in the destruction of normal tissues within the body. If you have an autoimmune disease, such as rheumatoid arthritis and multiple sclerosis, avoid taking spirulina, since it can further stimulate the immune system and make the condition much worse. Spirulina may negatively interactive with your medications taken to suppress the immune-system, such as seen with cancer patients. Medline Plus reports that this can lead to the decreased effectiveness of the said medications. Therefore, patients who are taking immunosuppressants should never take spirulina supplements. Spirulina might also be contaminated with microcystins, which are liver-damaging substances, as well as harmful bacteria. Contaminated spirulina can cause vomiting, liver damage, rapid heartbeat, thirst, shock and even death. Whether pregnant or not, avoid any spirulina product that is not tested and certified free of contaminants, including microcystins.